This pathway provides guidance on the imaging of pregnant female patients with suspected pulmonary embolism. 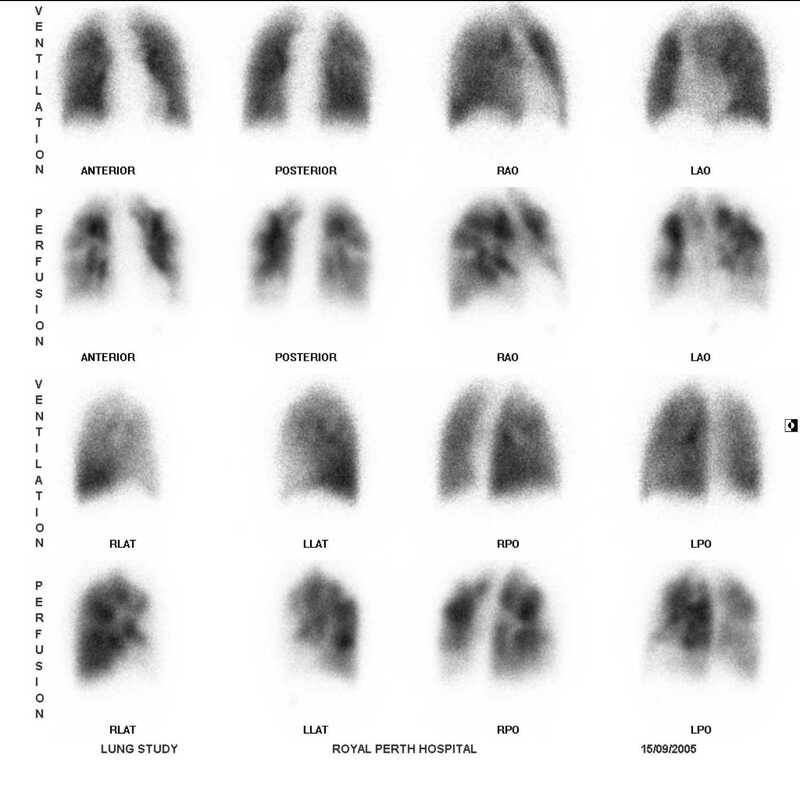 Image 2 (Ventilation Perfusion Scan): The ventilation series demonstrates uniform distribution of tracer throughout both lung fields. The perfusion series demonstrates generalised reduced tracer uptake in the right lung with multiple segmental and subsegmental perfusion defects throughout both lung fields. 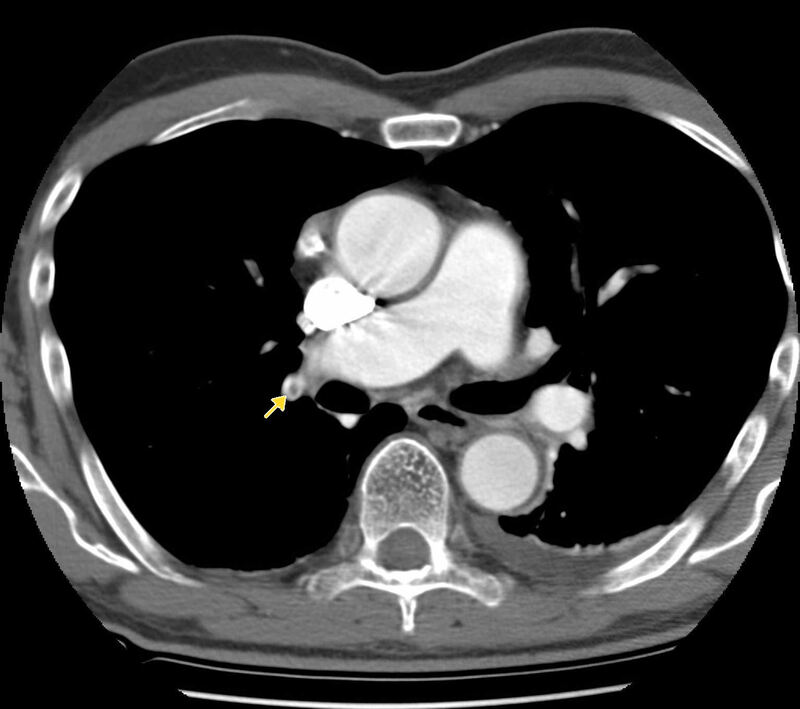 These findings have a high probability for recent pulmonary embolism. Sharp C, Shrimpton JA, Bury RF. Diagnostic medical exposures: advice on exposure to ionising radiation during pregnancy. National Radiological Protection Board, College of Radiographers, Royal College of Radiologists. 1998. Revel MP, Cohen S, Sanchez O, Collignon MA, Thiam R, Redheuil A, et al. Pulmonary embolism during pregnancy: diagnosis with lung scintigraphy or CT angiography? Radiology. 2011;258(2):590-8. (Level III evidence). Vorherr H. The breast: morphology, physiology, and lactation. Chapter VII Suppression of lactation (breast involution postlactation). New York AP, editor: Academic Press, Inc.; 1974. Meaney JF, Weg JG, Chenevert TL, Stafford-Johnson D, Hamilton BH, Prince MR. 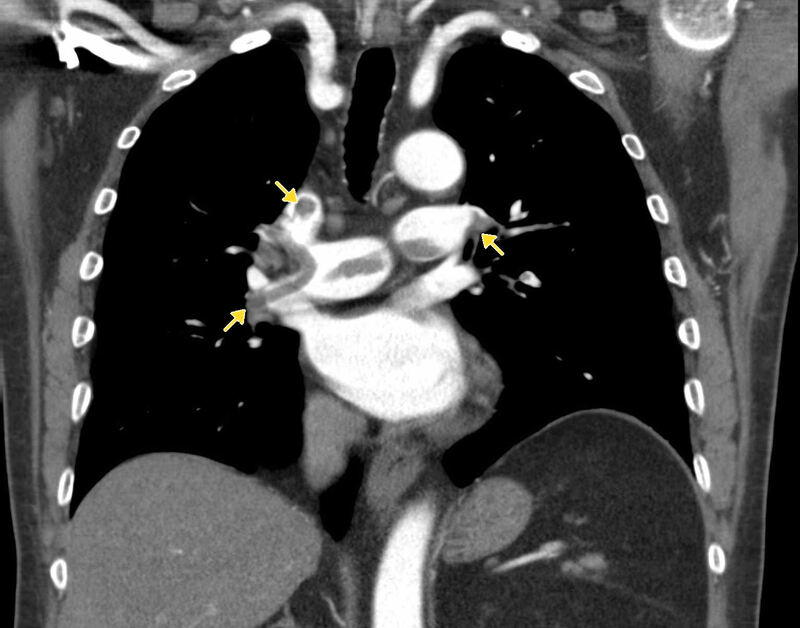 Diagnosis of pulmonary embolism with magnetic resonance angiography. N Engl J Med. 1997;336(20):1422-7.